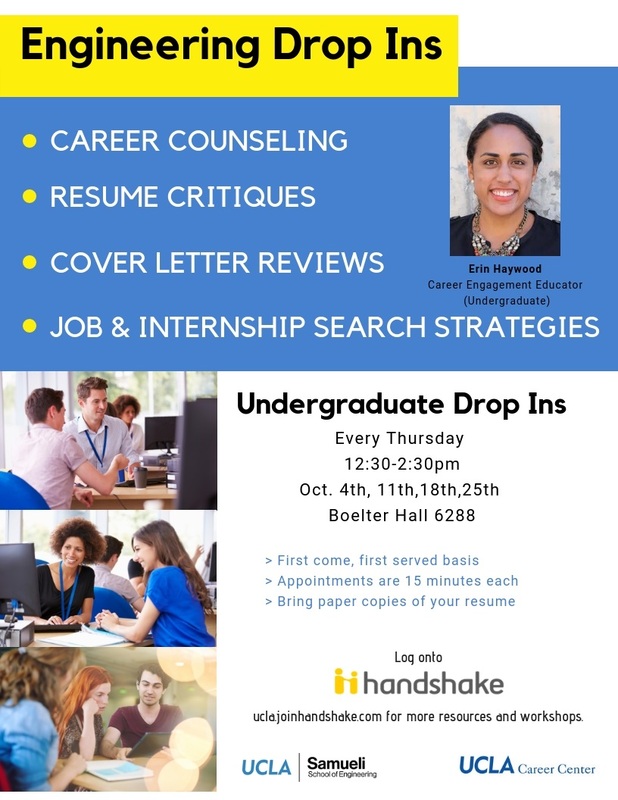 The Office of Academic and Student Affairs (OASA) offers a multitude of workshops and information sessions each quarter to support student success. These workshops and information sessions include topics on Changing Majors, Study Abroad, Class Planning, S.M.A.R.T. Goals, Scholarship Writing, and Time Management. Click here. Coping through the Quarter Groups – relaxation, time management, problem solving …. Download Spring 2019 CAPS Brochure now! 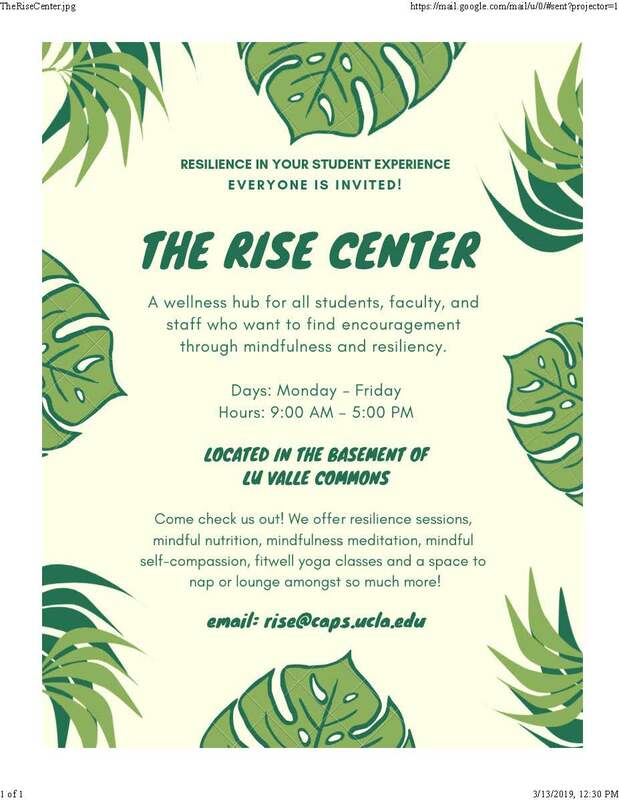 The RiseCenter – A wellness hub for all students, faculty, and staff who want to find encouragement through mindfulness and resiliency. HKN was founded at the University of Illinois in 1904, HKN consists of students, alumni, and other professionals who have demonstrated exceptional academic and professional accomplishments in the electrical and computer engineering fields. Math Success Program at UCLA– provides Math counselors guide students in 1-on-1 sessions to develop the confidence and skills necessary to apply math inside and outside of the classroom. Not sure what to major in or what career path to follow? Take this series of self-assessments to learn how your personality, interests, skills and values align with academic and career options.Login or register for a new FOCUS-2 account. When creating a new account, use access code g0bRu1ns! 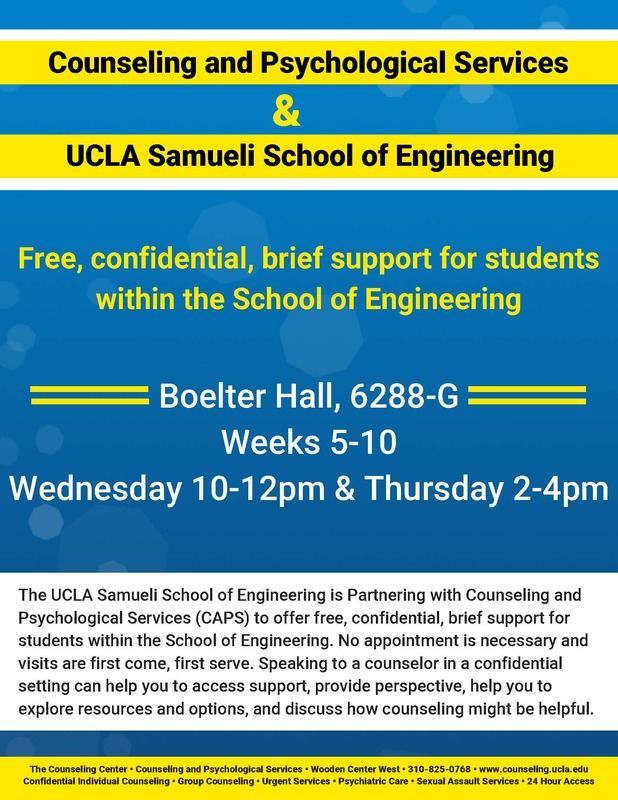 After completing this assessment, you will receive a list of your best-fit majors at UCLA. is devoted to providing quality, accessible, state-of-the-art healthcare and education to support the unique development of UCLA students. UCLA is home for more than 12,000 international students and scholars away from home. The Dashew Center is the place where domestic and international students and scholars meet. Dashew enhances the UCLA experience for international students and scholars with our multicultural programs and services. It assists UCLA academic departments with visa services and serve as a resource and learning center for the entire UCLA community to promote global connection, international understanding and cultural sensitivity.